The three pilot projects, The Forbes Legacy, Pittencrieff House Project, the Adam Smith Birthplace Initiative and Spirit of Scotland based in Ayrshire. Tartan Cents is founded on the premise that Scotland matters well beyond her borders. For centuries, we have created innovation, be it in the arts or industry, while our kin have left her shores to carry the name and culture forward. By working locally, while connecting globally, Tartan Cents invite all who live in Scotland along with members of the diaspora, those who love her heritage, cities, and culture to create a better Scotland for all to live, work, play, and visit. The pilot projects for Tartan Cents are based in Dunfermline and Kirkcaldy in Fife, and in Girvan, South Ayrshire. The Dunfermline based Pittencrieff House project is inspired by General John Forbes’ legacy. Pittencrieff House, which stands in Pittencrieff Park near to the birthplace of Andrew Carnegie, was the family home in Scotland. From here, General Forbes left to fight for what is now modern America and to found the city of Pittsburgh in 1785. The aim is to create community events, education projects, exhibitions and vibrant activity to make the house the essential hub of this Park for all. The Adam Smith Global foundation is seeking to connect the past, the present and the future of the ‘Son of Kirkcaldy, Father of Nations’. Kirkcaldy is the birthplace of world renowned philosopher and economist, Adam Smith. The Birthplace initiative is seeking to raise £100,000 to support and continue Smith’s heritage and legacy, which started nearly 300 years ago. ‘The Wealth of Nations’ was first published in 1776, the same year as the Declaration of Independence, influencing America’s Founding Fathers. 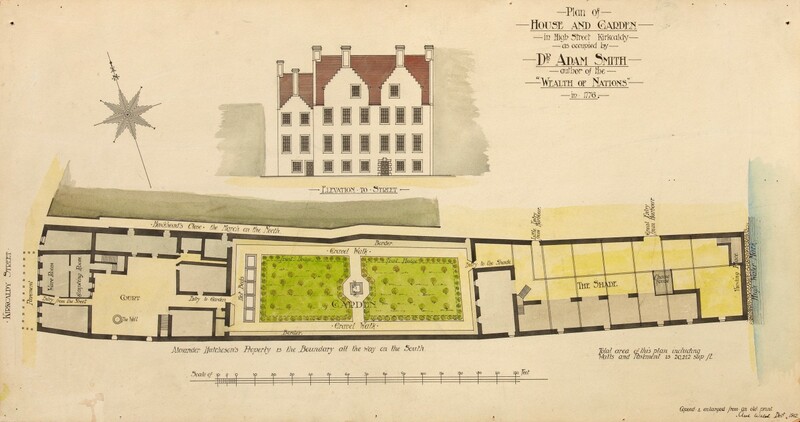 Their international ask is to purchase and return Adam Smith’s garden back to its former glory as an 18th Century Merchant’s Garden, and for Smith – the boy, the man, the philosopher, and the economist, to be brought back to life using augmented reality technology. 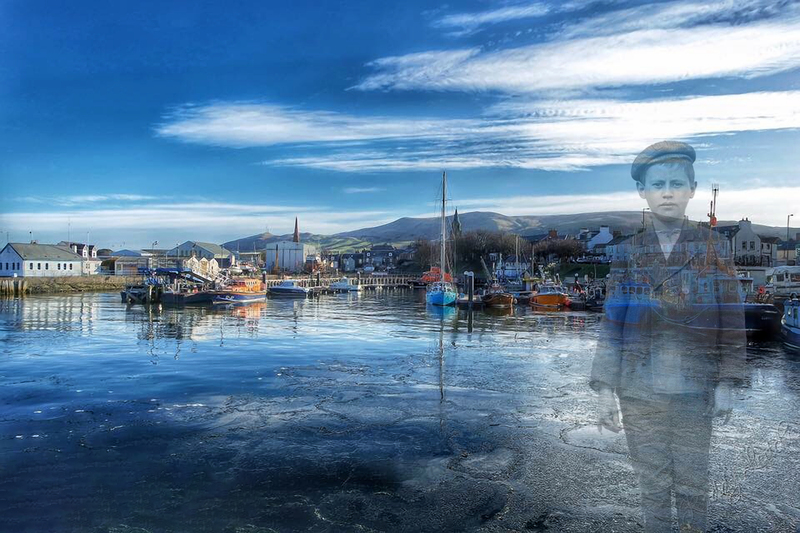 Spirit of Scotland will be an Augmented Reality Town Trail, based in Girvan. By incorporating clever digital content, easily accessible from smartphones and tablets and a sign-posted trail which leads you through wonderfully-interpreted stopping points, the project will be creating something special for the enjoyment of the entire community. The intention is to create this trail during 2018, to coincide with the 350th Anniversary of Girvan receiving its historic Burgh Status. The trail will walk in the footsteps of Robert the Bruce, King of Scots, in 1306 and learn about the spider which inspired him to keep fighting. March forward in time to explore the life of Robert Burns, Scotland’s national poet, who produced traditional ballads, romantic songs and thought-provoking poems and re-live the lives of local fisher-folk, the Irish weavers, whisky smugglers and hear stories about the man-eating cannibal called Sawney Bean. The Tartan Cents project is the brainchild of Phil Prentice, Chief Officer, Scotland’s Towns Partnership and Rob St. Mary, Director of Outreach at Patronicity, Detroit - a Scottish descendant in the United States. The concept was initially launched at the Scotland’s Towns Conference in Paisley in November 2017. “Scotland’s story is one of invention, migration and immigration and the cultural identity linked to strong social values. “Scotland invented most of the modern world, from penicillin, to roads and bicycles, to the television and telephones. "Patronicity has helped dozens of communities in the United States create better places to live, work, and play through the power of crowdgranting over the past 5 years. “We are honoured that our first international foray is Scotland, for several reasons. First, we know the innovative spirit of Smith, Watt, Carnegie, and so many others still burns bright inside today's Scots. That fire can help make stronger, more vibrant communities for all. "Second, a very personal one, Scotland is the homeland of my mother who emigrated to the U.S. with my aunt and grandparents in 1970. I still have close family and ties in Scotland. I feel many of us who share this great heritage have sought a meaningful way to connect back home. “I see Tartan Cents, in partnership with local communities, as a way to give back to a place that has given us so much." Scotland's Towns Partnership is Scotland’s largest towns’ collective; representing and promoting the diversity of our towns and places, and supporting those organisations and groups that have an interest in or ownership of them. Patronicity is a civic crowdfunding & crowdgranting platform, bringing together local citizens and sponsors to support great initiatives in their communities.